Project located in Mernda North of Melbourne. This estate has been carefully designed to respect and protect the historic land form. The main attraction is the landscaped drainage channel surrounded by garden beds and open grass areas. There is also a steel & timber boardwalk crossing the channel. 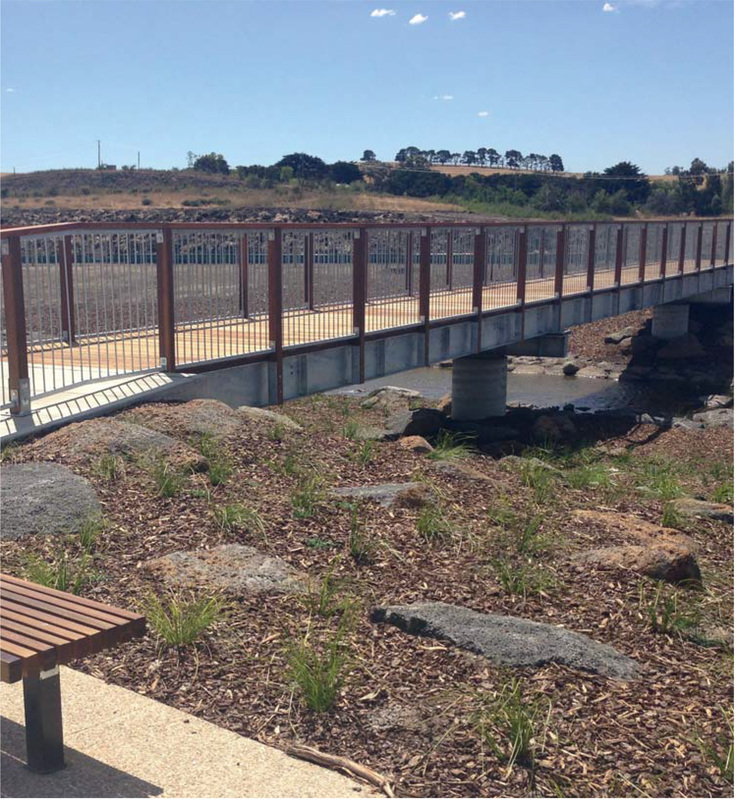 Also included in scope was concrete paths, stone face culvert cladding to road bridge, terrestrial & aquatic planting. The landscape started in October and was completed in January 2013 and has a two year maintenance period.